Adventure Racing (also known as Multisport) is a combination of some or all of running, swimming, cycling, and paddling. Thames High School has an enthusiastic group of adventure racing students who enjoy the challenges our surrounding area provides for their training. Each year students train to compete in the OPC Hillary Challenge senior event and junior students compete in the Waikato Get 2 Go event. 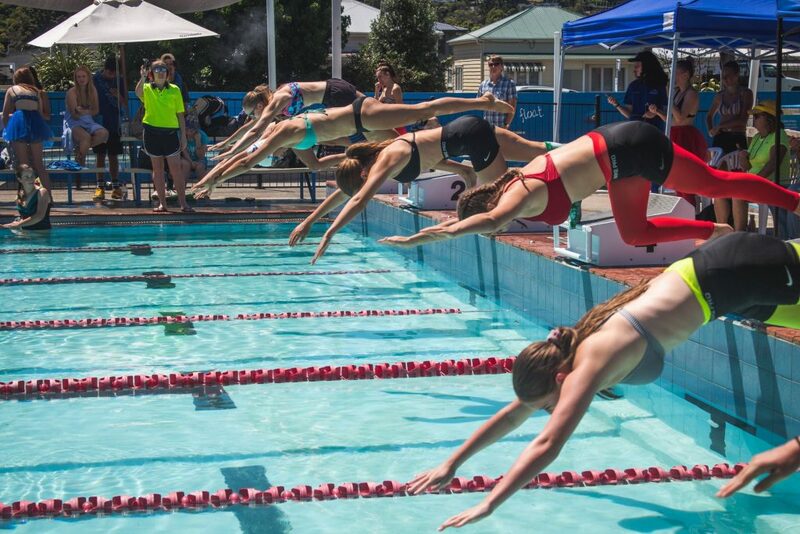 Thames High Schools inter-house competition is held early in term one with students then selected for Thames Valley, Waikato/Bay of Plenty, North Island Secondary and New Zealand Secondary School Events. Thames High School then selects students to compete at the National Secondary School Athletics and Road Race championships held in December. The 2018 THS Athletics days were held on Wednesday 21st February for selected events and Thursday the 22nd February for whole school participation. Thames Valley Secondary Schools Athletics Champs were held on Wednesday 7th March at Paeroa Domain and the Waikato/BOP Secondary School Athletics Champs were on Saturday 24th March in Tauranga. 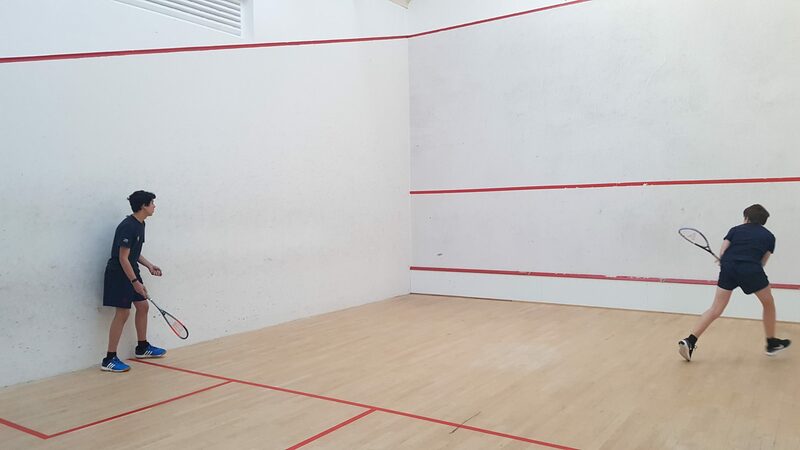 Thames High School squash players are members of the Thames junior squash club that play on a Friday evening during terms two and three. Thames High School Basketball Teams play in the Thames Valley Secondary School Basketball competition during terms two and three. 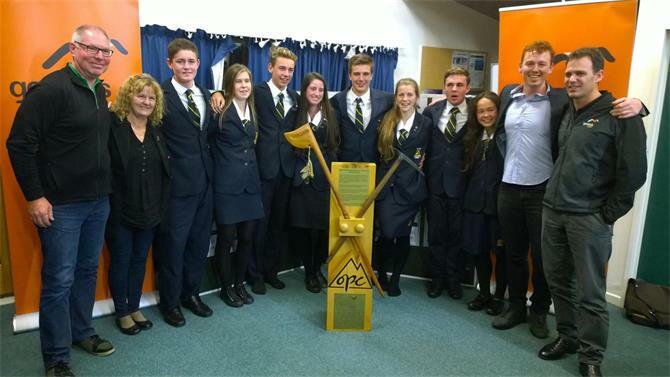 Thames High School has three Cricket teams – Boys 1st XI, Girls 1st XI, and Junior Boys’. The Cricket season starts at the beginning of Term one and goes for the duration of the term. It then resumes at the start of Term 4 and continues for the remainder of the term. The Boys 1st XI and Junior Boys’ teams train on Monday afternoons. Games are played on Wednesday afternoons against other schools in the Thames Valley. The Girls 1st XI train on Thursday afternoons. The team is part of the Waikato Valley/Hamilton Secondary Schools Competition with games being played on Tuesday afternoons. The Thames High School’s Cross Country is held at the beginning of Term Two. Our course includes a steep incline up to the top of the Thames bush line, a bush element, downhills and finishes back on the school’s field. Our top students are then able to compete at the Thames Valley Secondary School event held in Te Aroha, the Waikato/BOP Secondary Schools Event and then selected for the North Island and National Secondary School Events. 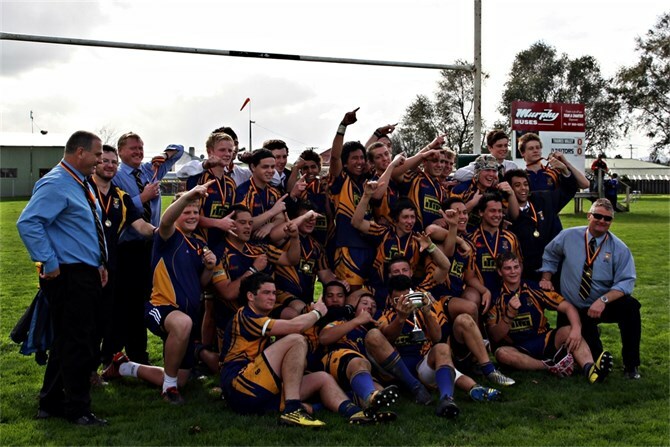 Thames High School have both junior and senior football teams that compete in the boys and girls sections of the Waikato Secondary School competition. These leagues start at the beginning of term two and run into term three. 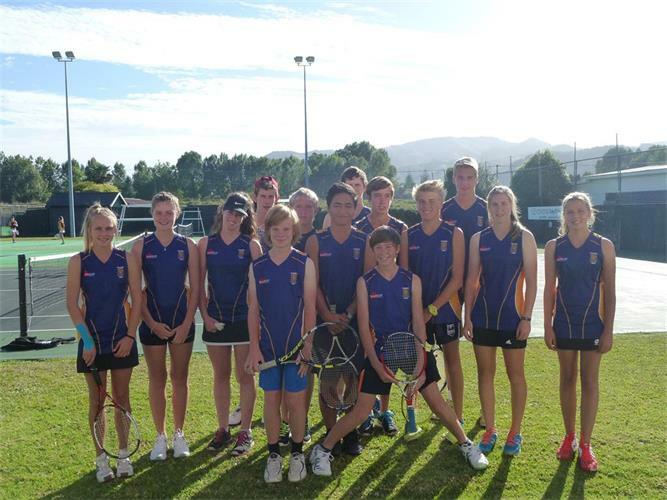 Our teams then compete in the NZ secondary schools tournament week which is held towards the end of term three each year. The Thames Valley Secondary Schools golf tournaments are run by the Waikato Association throughout the year on golf courses throughout the region. Division 1: Is for individual players who are affiliated handicapped golfers who play 18 holes. Division 2: Is a 9 hole ambrose event for 3- 4 players from the same school, who received coaching before commencement of play. As Thames High School has only a small number of hockey players we have one girls team that combine both senior and junior students. 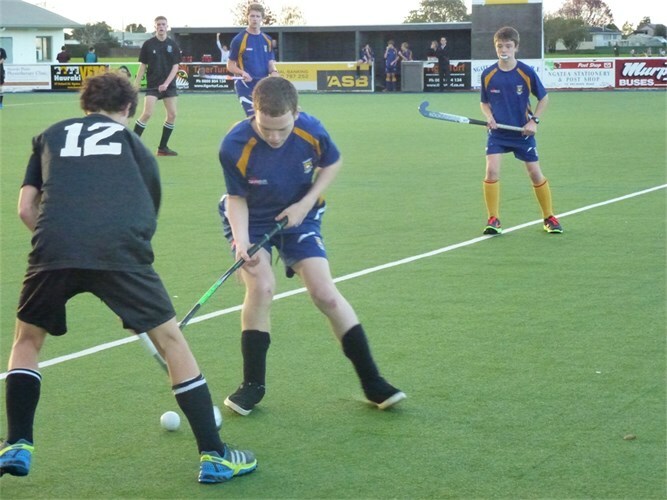 Hockey is played at the Ngatea Hockey Turf with the season starting in term two running through to the end of term three. 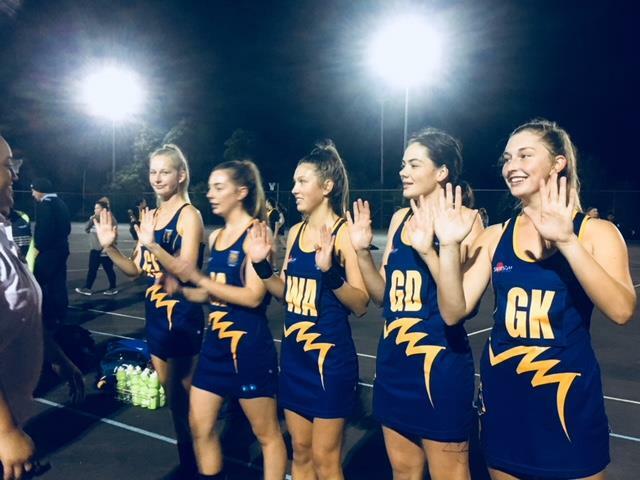 Our students enjoy competing against the other secondary schools around our area, with a number of players being selected for Thames Valley Teams. A van load of Thames High School students went and played pairs at the Matamata Bowls Club at the end of march and had a very eventful day. Congratulations to the 3 pairs who placed and well done to those who participated as well. 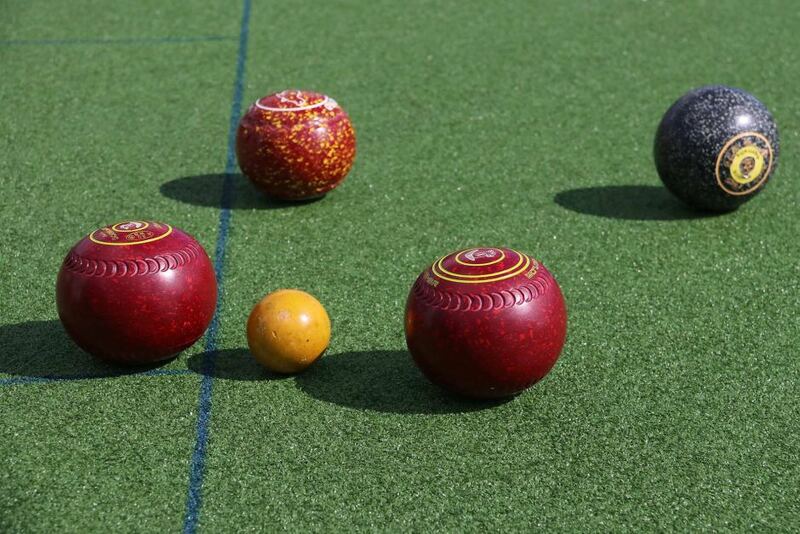 If you are interested in giving this sport a go we do have our local Thames Bowling Club situated in the heart of Thames and keen to get you involved. Thames High School currently have a small MX team, which is growing every year. 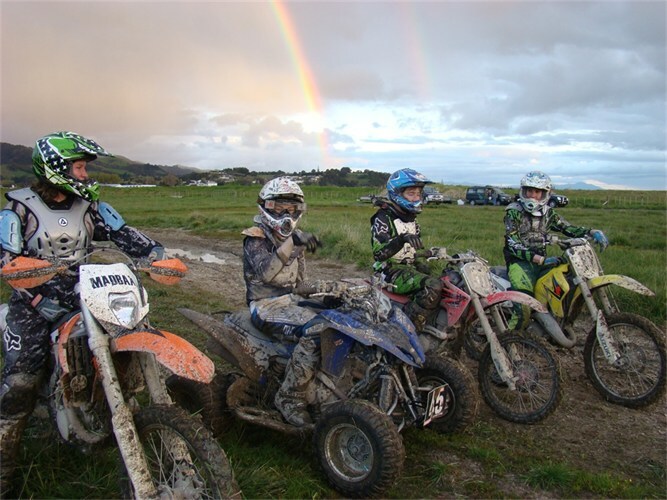 Any student is welcome to join and ride with us on any bike – 85-250cc including Quads. We try to have monthly practices at local tracks and have the support of the mechanics at Wheels of Thames to assist us to maintain our bikes. The team is notified of events as they arise through this webpage. Thames High School have a number of netball teams that compete on a Wednesday night in the Thames Netball Centre competition. This competition has a range of grades which cater for our competitive and social teams. 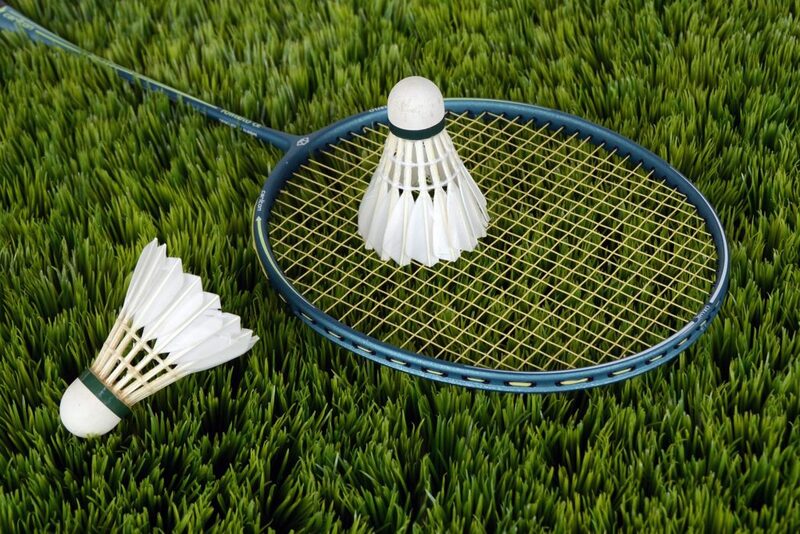 We have 5 teams that compete in the Thames Valley League for Senior A and Senior Social, our three Junior teams, 9A, 9B and 10A. Our players also have the opportunity to be selected for Thames, Thames Valley and Waikato Representative Teams. 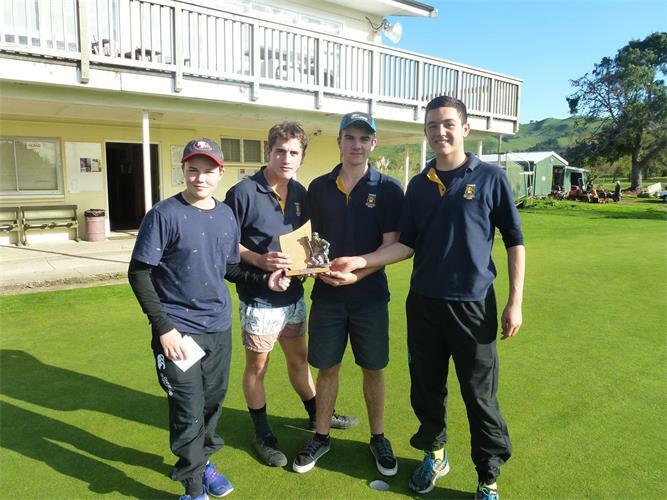 The highlight of our Senior A season is to compete in the Upper North Island Secondary Schools Tournament week which is held towards the end of term three each year. Congratulations to the THS Senior A team competing at the 2018 Boulton Cup in Matamata and placing 1st. 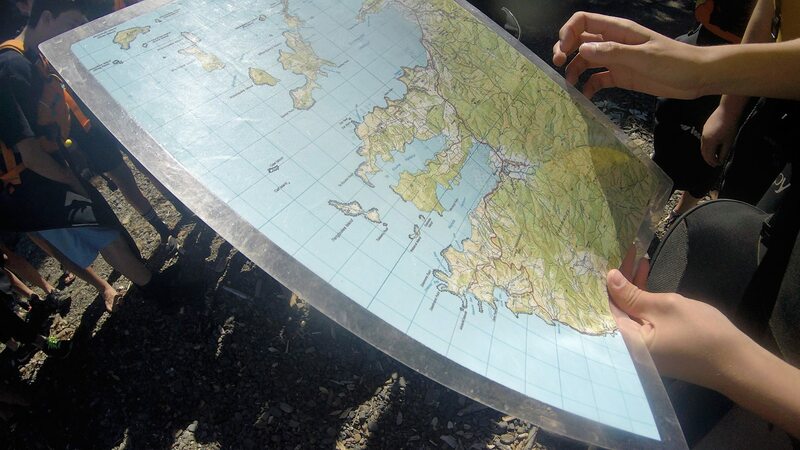 Thames High School has a small, but experienced number of orienteering students who compete in the Auckland sprint series in term one. 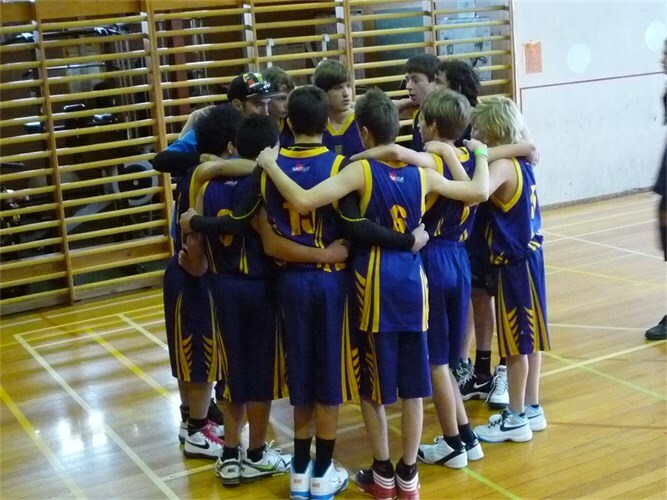 They then focus on the North Island and National secondary school championships. Thames High School is fortunate enough to have a mapped course for beginners. Thames High School have two rugby teams – Development and 1st XV. The players are selected for these teams depending on their age and weight. The secondary schools competition is administered by the Thames Valley Rugby Union with teams from all over our area competing. The rugby season starts at the end of term one with preseason games and finishes during term three, with a number of players being selected for Thames Valley Representative Teams. Thames High School has their own swimming pool which is used during terms one and four for PE classes. Our schools inter-house competition is held early in term one with students then selected for Thames Valley and Waikato Secondary School events. Thames High School students are encouraged to become members of the Thames tennis club who play on a Saturday during term 4 and term one the following year. Students have the opportunity to compete at the Thames valley Secondary Schools tennis event also. 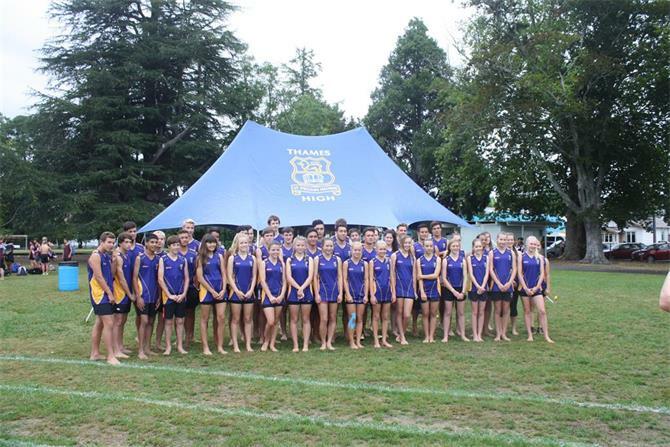 The Thames Valley Secondary Schools Triathlon in Cooks Beach was held on Tuesday 27th march 2018. A very successful day by all of the students who participated.